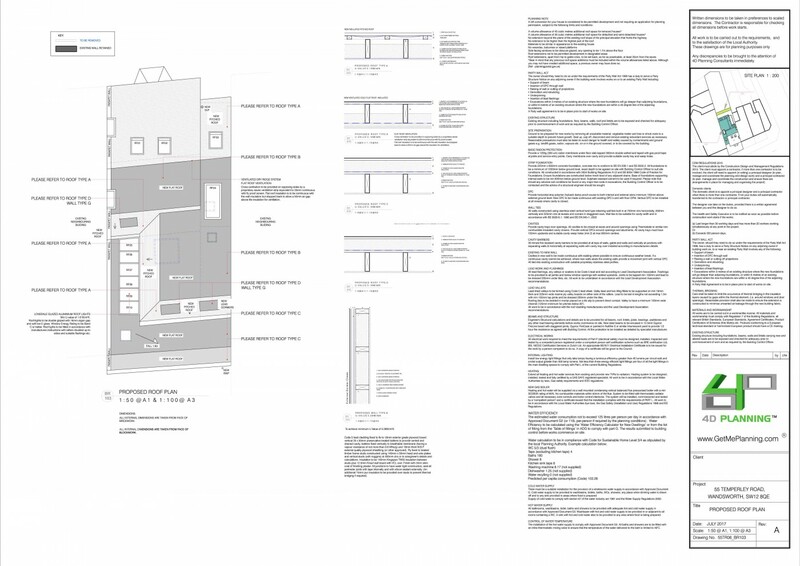 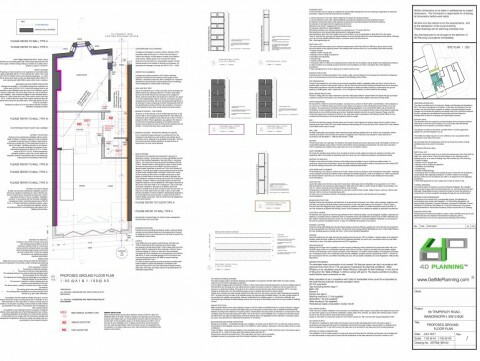 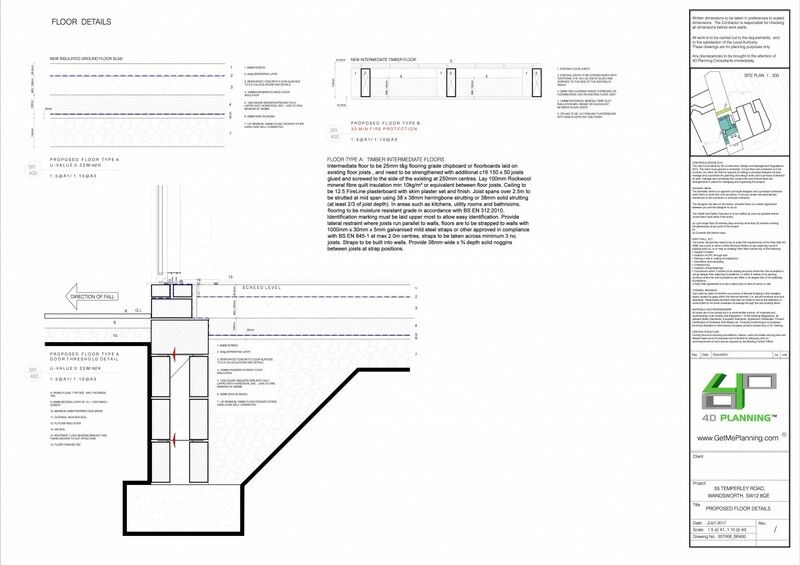 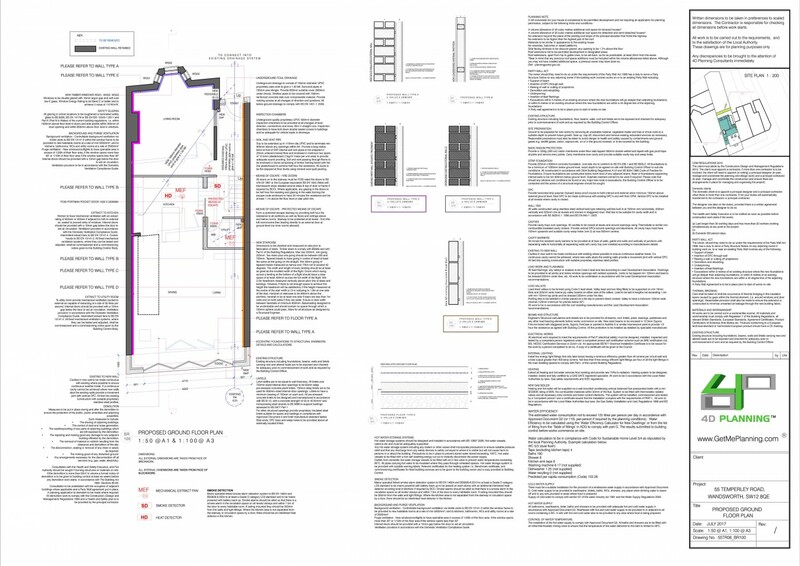 Advising client on planning feasibility for a large extension to an end-of-terrace house. 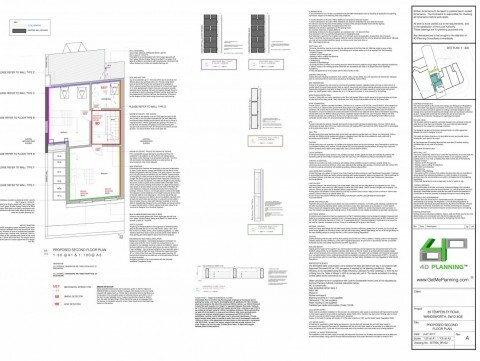 Preparation of architectural drawings, preparation of Design and Access and Planning statement, submission of planning application, negotiation and liaison with the council. 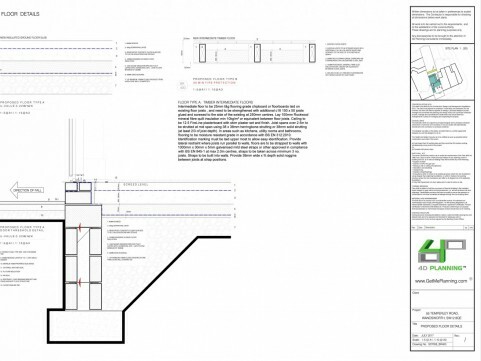 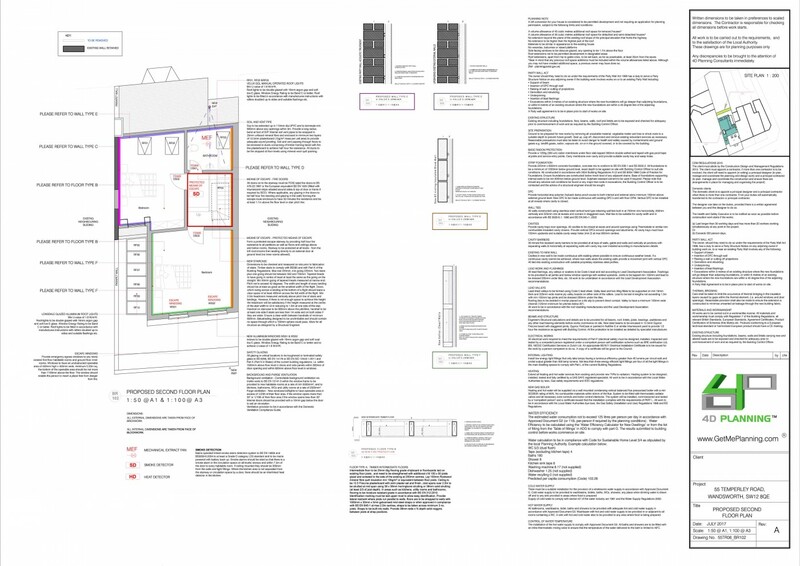 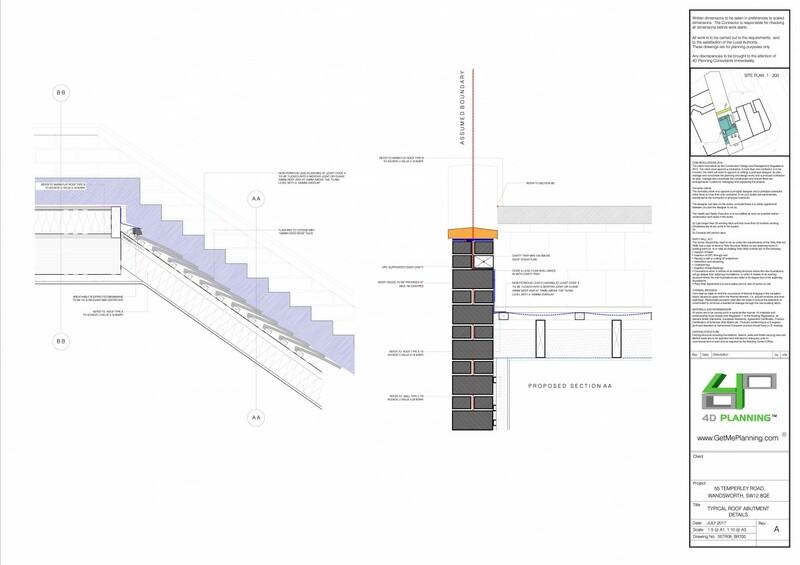 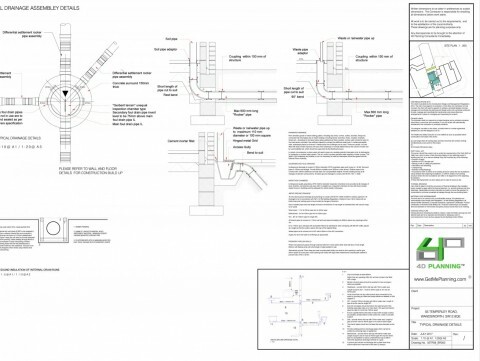 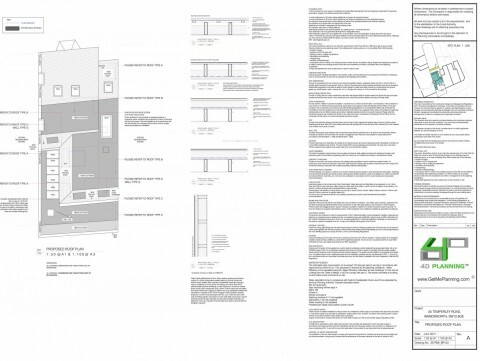 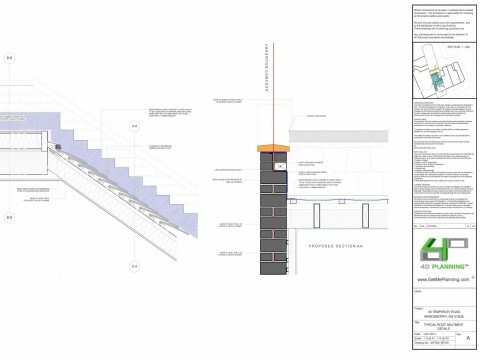 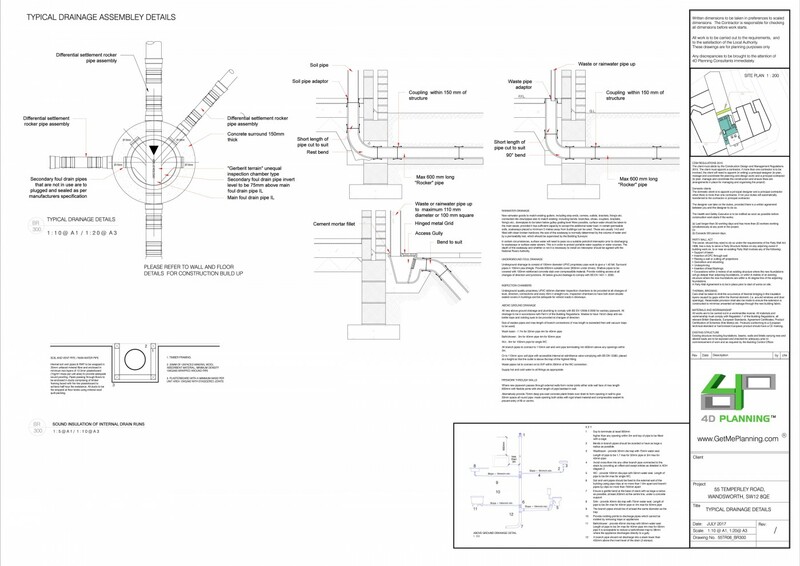 Once Planning permission was granted the client instructed 4D Planning to prepare the building regulations and to liaise with the Building Control Inspector and the Structural Engineer. 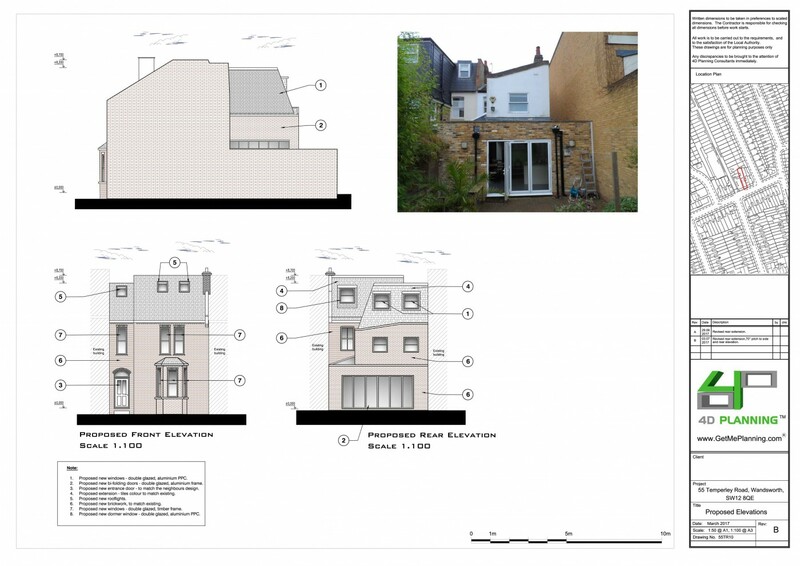 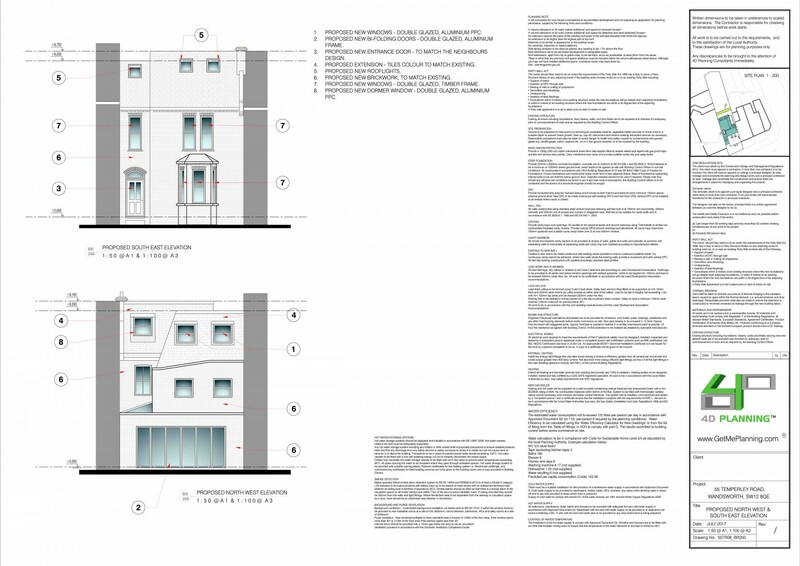 4D Planning were instructed to establish the full potential of a large end of terraced property. 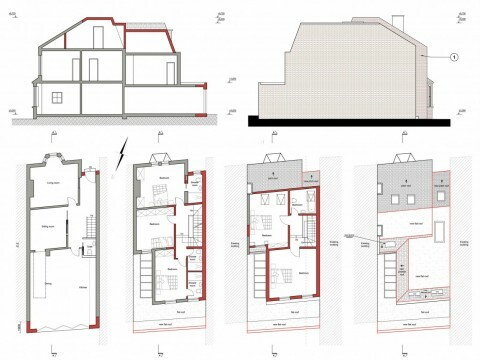 4D Planning researched the feasibility of the proposal and advised the client what can be achieved and how to achieve this in the quickest and most cost-effective way. 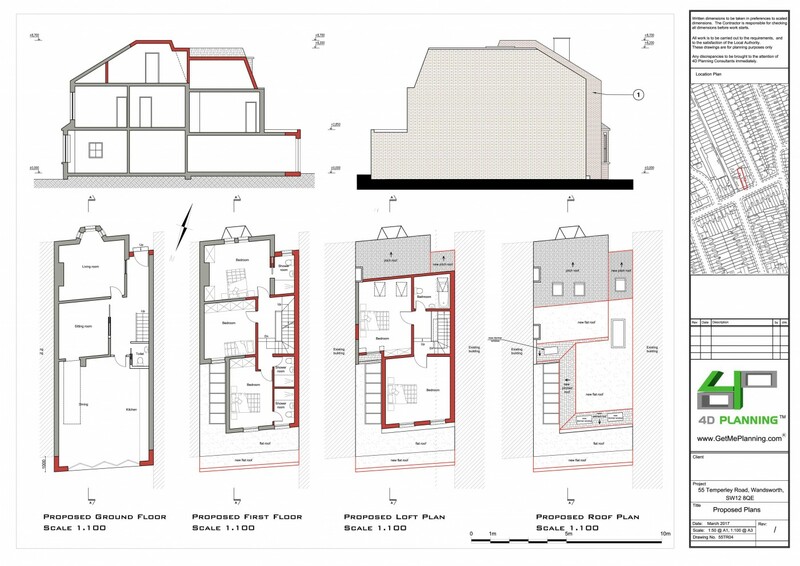 4D Planning produced the architectural drawings in consultation with the client, to ensure that the interior layouts and visual appearance of the property are suitable for the property, both to match the client’s requirements and to ensure that the planners would accept the proposal. 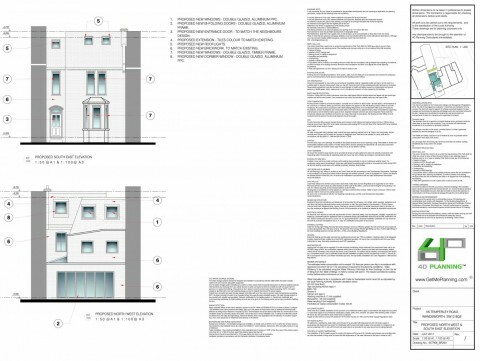 4D Planning researched other properties in the locality to establish the precedent and produced a professional Design and Access Statement with reference to the relevant planning policies justifying the proposed development in the best possible way. 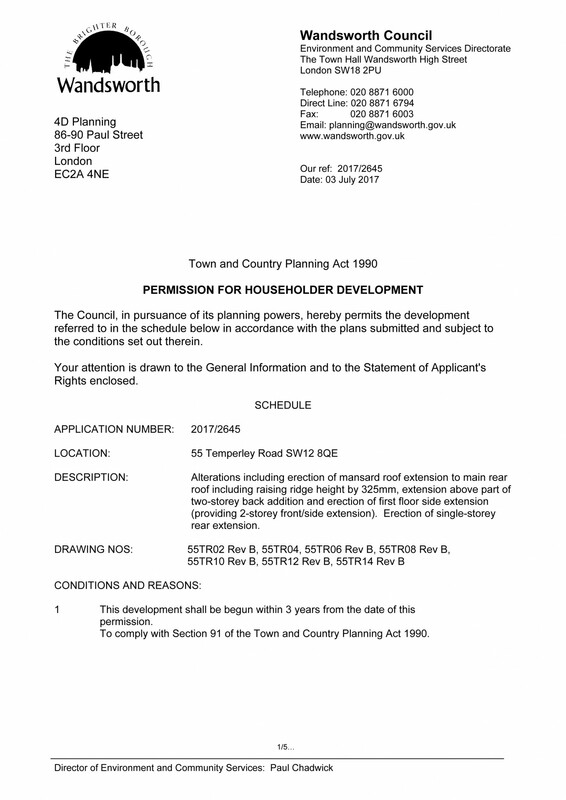 Planning permission was granted. 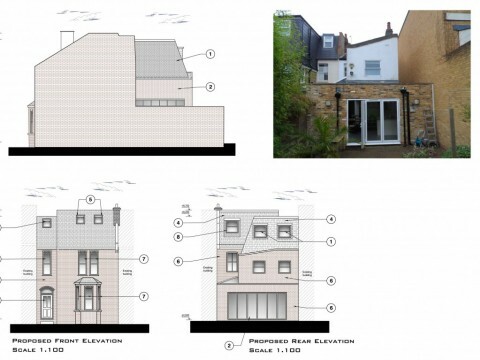 Single-story and rear dormer extension.